Dr. Richard George, Professor of Food Marketing, will receive the Tengelmann Award for Distinguished Teaching and Research. 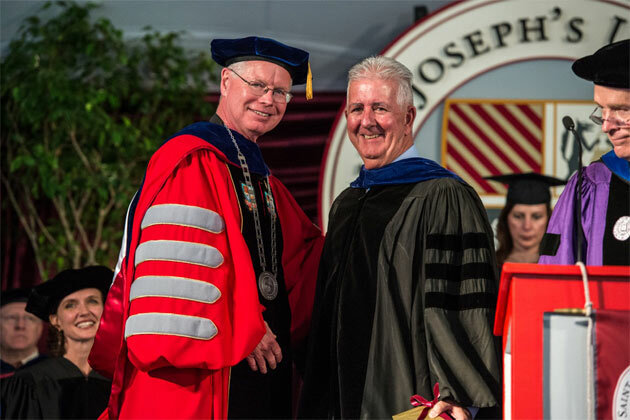 Rich has a distinguished career at Saint Joseph’s extending over 40 years. Known as an accomplished researcher, Rich is recognized for involving his students in his research and bringing the results into the classroom. He also collaborates with colleagues at University College, Cork, Ireland, adding an international dimension to his work. His teaching has been recognized both at the University and in the business community. « “Demographic Diversity” Barrie Dawson, Grocery Headquarters, September 2013.